As newer cars get more advanced and include more features, it can be harder than ever to keep up with the basics. When it comes to your dashboard lights, it's super important that you're able to understand what your car is telling you. If you're not sure what all the little lights in your dashboard mean, this post from Huff Oil Group can help you start off by learning the basics. When one of your dashboard lights turns on, you may notice that it's one of three colors. If you hadn't noticed this, you definitely will next time. These colors aren't just random, there's actually a reason for each one. Generally, dashboard lights will either be red, yellow/amber, or blue/green. Just like a traffic light, each one has a different meaning. When you see a red light turn on in your dashboard, this is an urgent problem that needs to be looked at right away. In fact, you should pull over immediately because your car may no longer be safe to drive. The yellow or amber lights are alerting you about an issue that needs to be looked at but that isn't urgent. Blue or green dashboard lights will turn on when a certain feature is engaged, such as your high beams. They're basically just there to let you know you've turned something on and so that you don't forget it's on. When your coolant temperature warning light turns on it will likely be red and may even start to pulse and beep. This can be alarming, but that's because your car is trying to tell you not to continue driving. When this happens, the temperature under the hood can be reaching dangerously high levels that can lead to serious engine damage. If you're running low on coolant, this can be easy to fix by simply topping it off. In other cases, you may need help from a professional to get your car back to safety. Your oil pressure warning light is another one that will be red. If this light turns on while you're on the road, pull over immediately to prevent damaging your engine. Your car may be running low on oil, leaving your engine exposed to serious damage. If you continue to drive under these conditions, your engine can even seize. Since engine repairs are tricky and expensive, this is something you'll want to avoid. After pulling over, let things under the hood cool down completely before checking your oil level. If you have enough oil, it may just be having trouble circulating through your engine. If this is the case, get your car to a mechanic for help. Before your motor oil has a chance to cause you any trouble, be sure to give your car a synthetic oil change in Fayetteville. Using a quality oil like AMSOIL's Signature Series 0W-40 Synthetic Motor Oil will ensure your engine stays healthier for longer. To find even more products like this, contact Huff Oil Group at (978) 259-5463. If you prefer, you can also check out their online shop for the best AMSOIL Oil products. 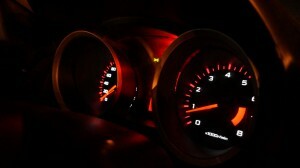 The check engine light is probably the most well-known dashboard light and the most ignored. Since it lights up yellow, most people will ignore it unless there's an obvious reason behind it. This isn't ideal, and you should actually get this checked out. You can head over to your mechanic to get this diagnosed. Generally, your car will just need some basic maintenance to get it back to its best. When your brake light turns on, your car may be trying to tell you one of three things. Either your parking brake is on as you're driving, your car is low on brake fluid, or there's a problem with the automatic brake system. The first two issues may not be so troubling, but if your ABS light is also on, it's best to pull over and get your brakes checked. When both of these lights are on, your brakes may not work as they should, leaving you and other drivers at risk. Keep your car in top shape with the help of a synthetic oil change in Fayetteville. Find the perfect oil for your engine with a bit of help from the pros at Huff Oil Group. Give them a call at (978) 259-5463 for the personalized service you're after!